Maybe you have a friend who was an immigrant. Lets imagine if you were an immigrant and wonder what it was like to live under the shadow. The important part about this topic is how fascinating the country has gotten! Without immigrants, how can America step forward in economics and diversity? 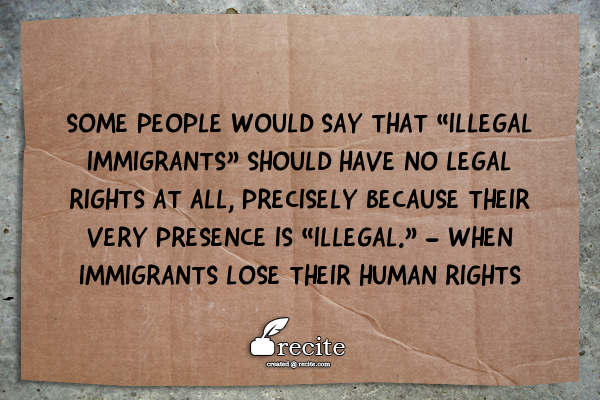 No matter what, immigrants should keep their rights to fulfill their dreams in having freedom. Think about the possible outcomes why immigrants is the best fit for America. Let’s take back in the 1500’s when settlers came to America to take over the land to express their religious beliefs, but Native Americans are the first people who came here. As time passes, the system in America transformed politically where governments are trying to protect the society from threats such as terrorist coming in the country. On the other hand, leaders will find possible ways to reinforce new laws in order to suppress equality for citizens. Some immigrants will escape illegally to come to America, and most of them have a vision that all Americans get what they want. Therefore, everyone wants a better future. The influence makes the people other countries want to experience what it feels to be like an American, but they do not realize every citizens have to earn it to have more opportunities. What is the new Immigration Reform? 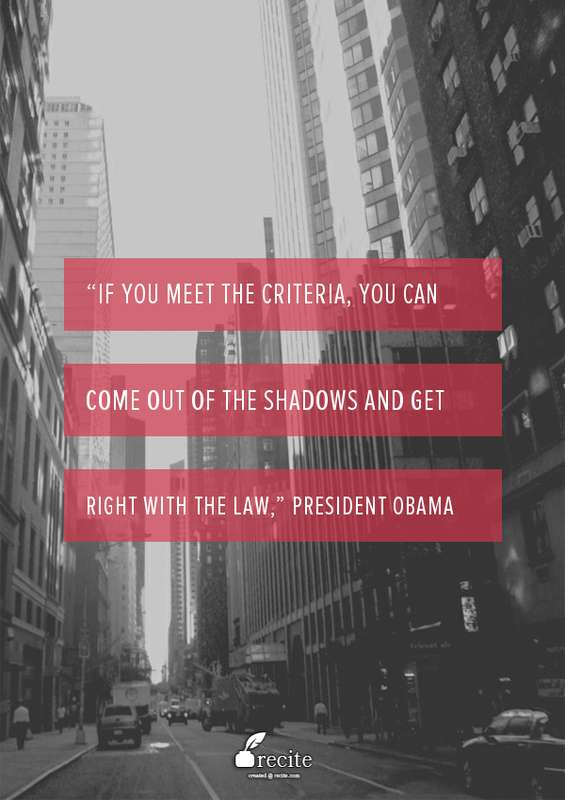 President Obama recently changed the law on November 2014 to improve on the immigration system. He wanted for the community in becoming safer because there are a lot of threats outside from the country. It says “removing violent criminals, terrorists and other public-safety threats — and not people who have deep roots in this country and pose no threat” (Mr. Obama’s Movement On Immigration, New York Times, The Editorial Board). The law will help the nation become more sophisticated in making the community stronger by insuring the immigrants can succeed in life instead of struggling. 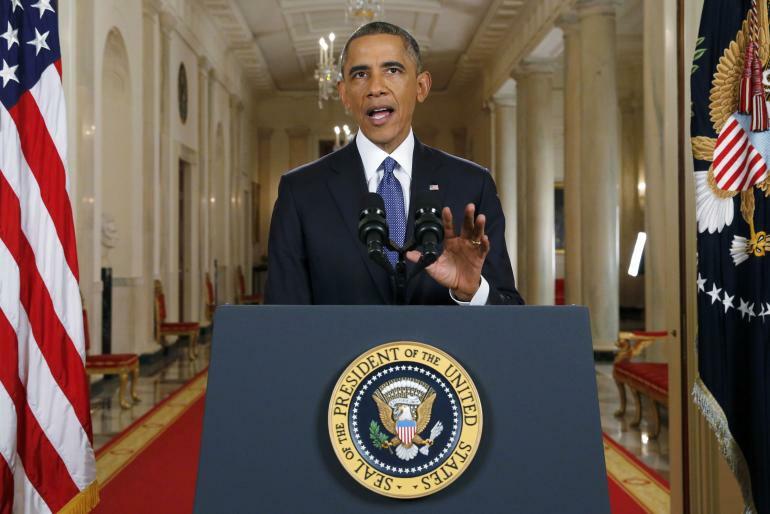 President Obama wants the immigrants to stay with their families such as children who are born in the US. Removing criminals and terrorists with this new law is an excuse because people in America who are Americans always pose with threats. The idea having the immigration reform gives a secure immigrants who was worried for being sent back to the country while children are born here. Another reason is to make the economy advance to next the level where immigrants have will scrap money to survive. Majority who is able to live in America will be able to fulfill their dreams as long as they pay bills and have a cleaner shot. The border from the south of America is Mexico and the new law will secure people coming in to the United States. Like every citizens, undocumented people have to follow the same rules such as background check, learning English, and paying taxes. At the same time, immigrants today will be illegally or legally to find opportunities in coming to America for the American Dream. The country is tracking people who are undocumented without any effects with helping the country because there are about half of 11 million people who are left without any security. There are chances for the other half of 11 million pay to stay in this country as long as they go to court. According to the Pew Research, the 21st century makes it harder for immigrants to be legal in the United States or just to live here. The role of democracy in allowing immigrants into the country is to change the system by having a purpose to do what they want. President Obama tries to make it possible for free education at community college for the two year program where it gives a head start for immigrants to improve their living styles on learning. Now since community college is up for free, education will help undocumented people fulfill their dreams as long they make a steady progress in passing each classes. To improve on citizen's test, there should be more than studying about the history of this country, as well as writing couple sentences about who they are. Whether if the immigrants are children or adults, they should take basic classes of surviving in this world because not a lot of them are succeeding. Then immigrants can take the test about history, speaking, writing along with having the knowledge with applying for jobs and survive in this world. This country has to step forward, for a better country by giving all the opportunities for people to have. United States will always have a better reputation than other countries, so the immigration reform should change the country! We are slowly progressing into a better nation where it is the melting pot that makes it diverse. Even though there are some people who are not financially stable, immigrants for instance will survive than other third world country.